A German-language version of this article was published in Politische Studien, No. 368, November/December 1999. Because the subject of cooperation and coalitions among terrorist organizations has never been sufficiently investigated, numerous questions asked as far back as the early 1970’s have remained unanswered. These questions need to be dealt with for the simple reason that the instability of the international system proves that we may have to live with international terrorism in the foreseeable future. Has the cooperation between terrorist organizations, active in the international arena during the 1970’s and 1980’s really reached such a high degree as to create working coalitions between terror organizations from different countries? Is an institutionalized coalition between international actors—not necessarily sovereign states—at all possible? What are the domestic and international factors influencing the establishment of coalitions between terrorist organizations? Is the ideological factor of crucial importance to the establishment of a coalition and its practical activity, or do political and material interests carry more weight than ideological considerations? How does a coalition operate in the ever-changing international reality? This article deals with the cooperation between German terrorist organizations of the extreme left and Palestinian organizations, from the German perspective alone. 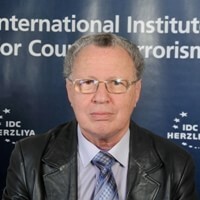 It is based on one of the chapters of the author’s Ph.D. thesis “Coalitions of Terrorist Organizations: 1968-1990” presented in 1996 at the Political Science Department of Haifa University, Israel. The thesis built a theoretical framework explaining the conditions under which coalitions between terrorist organizations in the international arena are formed and how they function in the changing international system. The theoretical analysis has been tested against empirical findings relating to the cooperation between European and Palestinian terrorist organizations during the years 1968 - 1990, as well as the coalitions between the European extreme left-wing terrorist organizations, better known as the “Euro-terrorism” phenomenon (1984 - 1988). Stephen Walt’s “balance of threat” theory, as presented in his book The Origins of Alliances has served as an important research tool in this work, after being adapted to the specific arena of terrorist organizations. Walt considered his theory to be an improvement on the “balance of power” theory. While the “balance of power” theory predicts a reaction of countries to a lack of balance of power alone, the “balance of threat” theory presents the view that countries will ally when there is a lack of balance in the threat. For instance, when another country or coalition of rival countries seems especially dangerous to them, states will form an opposite coalition, or will enhance their efforts in order to reduce their vulnerability to the threat. The basic assumption in this research is that terrorist organizations are interested in establishing a coalition with other organizations when they feel threatened—whether by political and strategic conditions and events, by domestic, regional or international conditions or by other countries or super-powers. Terrorist organizations operate in order to balance against the threats facing them; the formation of an alliance with another organization is one way of overcoming such threats. The decision whether to form a coalition is a strategic one, after deliberation and examination of other alternatives. The assessment leading to the decision to form a coalition is a function of numerous factors relating to the organization’s ideology and the tactical and strategic conditions, both domestic and international. Thus the decision to form a coalition is the dependent variable, which is influenced by various factors, here defined as independent variables. Independent variables were used on three levels of analysis: qualities of the international system, variables on the level of the organization and variables on the level of decision-makers within the organization. The independent variables include, on the one hand the influence of the international system’s global aspects—the level of tension in the bipolar system or the appearance of new revolutionary focuses in the global arena. On the other hand, they include regional aspects, such as war situations or regional tensions and international military/security cooperation against terrorist organizations. The assumption is that all these variables of the international system enhance the tendency of terrorist organizations to form international coalitions. On the organization level, the influence of the ideology and structural characteristics was examined. The assumption was that certain ideologies, such as nationalism or “orthodox” Marxism-Leninism do not support the tendency for international cooperation between terrorist organizations. On the other hand, the anarchism of the radical left and right and anarcho-communism strengthen the tendency to establish international coalitions. However, coalitions exist only if there is some common ideological basis between the two organizations. In regard to structural characteristics, it was claimed that the organization’s size and strength do not influence the mutual dependency between terrorist organizations. However geographical distance does influence the composition and size of the coalition. Organizations defined as “non-state-nations,” according to Judy Bertelsen’s definition (those entities operating as nation-states, but not recognized as such), are influenced more than other organizations by considerations concerning their international policy. As to the decision-makers’ level, only one aspect was studied: the influence of racial anti-Semitic prejudices of leaders of European terrorist organizations on their decision to establish a coalition with Palestinian terrorist organizations. In order to evaluate whether two organizations have reached a degree of cooperation that can be defined as a coalition—and in order to measure the scope and depth of the cooperation between the parties—dependent variables were defined. These variables describe the practical manifestations of a coalition: the level of ideological cooperation, the level of logistic cooperation—or rather, material assistance—and the level of operational cooperation. The Red Army Faction (Rote Armee Faktion - RAF) According to Ann Steiner, the RAF’s ideology bordered on anarchism. Its concept of freedom, rejection of stages in achieving its goal, its anti-hierarchical structure, and its rejection of “democratic centralism,” so dear to Marxism-Leninism, were clear signs of its anarchist leanings. Steiner believes that the RAF was a Marxist organization in that it championed the main goals of historical materialism. Joanne Wright and Raufer & Haut emphasize the influence of the Third World, and Wright of the revolutionary models of Mao, Che Guevara and Marighella, on RAF ideology. The Movement 2 June (Bewegung 2 Juni - M2J) was a dyed-in-the-wool anarchist organization, according to Steiner, which, unlike the RAF, had no Marxist pretensions. Throughout its existence, it never published a single significant ideological document. Most of its activists came from anarchist circles. Later, by joining the RAF, they helped strengthen the latter’s anarchist base. The Revolutionary Cells (Revoluzionare Zellen - RZ) have been described by Raufer & Haut as a loose federation of revolutionary, albeit not Marxist-Leninist, cells. Hans Joachim Klein, one of RZ’s main activists, described the organization as the antithesis of the Leninist principles of the German student movement, which after a brief meteoric rise, was plagued by dogmatism and factionalism. In conclusion, the RAF may be typified as an anarcho-communist organization, with a particularly strong anarchist bias. The other two organizations, M2J and RZ, may be classified as anarchist organizations, with radical left-wing tendencies. 1968-1980: During this period, the RAF came into being (1968-1971), carried out its first big offensive (1972) and after a brief hiatus (1973-1974) launched its second offensive (1975-1977) which ended in inglorious defeat. From 1977 till the end of the period the RAF was continuously hunted by the police. M2J was set up in 1971. Some of its members were ex-RAF members, and some of its activities were coordinated with the RAF. 1974 and 1975 were peak periods of activity for M2J. The organization disbanded in 1980 and merged with the RAF. The RZ, which came into being in 1973, kept a low profile until 1976, when it began stepping up its attacks against American targets in Germany. The RZ had an international division which was extremely active between 1974-1976, and cooperated closely with the Popular Front for the Liberation of Palestine (PFLP). 1981-1984: This was the period during which the third generation of the RAF activists were busy reorganizing. During this period, most of their terrorist attacks were unsuccessful. The RZ also kept a low profile during this period. 1985-1990: During 1985 and 1986, the RAF evolved into Euro-terrorism. After a long hiatus, two further political assassinations were carried out in 1989 and 1990. These effectively marked the end of German radical left-wing terror. The RZ was also active in 1985-1986 against German and American targets. From 1987, it began to wind down its activities, despite the fact that most of its militants went undetected by the security services. The Federal Republic at that time had the highest concentration of Palestinian students in Europe, thanks to the government’s generosity in granting stipends to Arab students. Fatah, the main Palestinian terrorist organization at that time, managed to infiltrate and dominate the Palestinian student organization–GUPS. Through GUPS, Fatah was able to establish ties with local student organizations and radical left-wing organizations. The German terrorist organizations were active in areas with a high concentration of Muslim—mainly Turkish—immigrants, who also acted as a useful conduit for ties with Middle Eastern terrorist organizations. German terrorists who trained in Palestinian camps retained ties with the Palestinian terrorist organizations, coordinated the training of other groups, and helped wanted German terrorists escape to the Middle East. An interesting phenomenon, unique to German terrorism, was the relationships that evolved between female terrorists of the German organizations and Palestinian terrorists. Some female terrorists even ended up settling in the Middle East. Note that the German terrorist organizations had a higher percentage of female members than did similar organizations in other countries. The RAF is the only organization that expressed its solidarity with the Palestinian organizations in writing, at least in the years 1971-1972. It even expressed support for Black September’s murder of the Israeli athletes at the Munich Olympics, an act that was received with mixed feelings and even bitter criticism by radical left-wing circles in Europe and in Germany itself. In the years 1973-1980, such expressions of solidarity dwindled, no doubt partly due to a general decline in its ideological and propaganda product. The two other organizations put out even fewer ideological texts, but the almost total absence of any written expression of solidarity with the Palestinians in these texts is conspicuous, especially in the case of the RZ, whose members actively participated in a number of major PFLP operations. As far as logistic aid between the RAF and Palestinians is concerned, only isolated cases have been reported (the procurement of small weapons). Although there were probably more such cases, mutual logistic aid on a significant scale was unlikely. The main type of cooperation between the RAF and RZ and the Palestinian terrorist organizations, in particular the PFLP, was operational cooperation. Such cooperation was particularly effective from 1970-1972 in the case of the RAF, and from 1975-1976 in the case of both the RAF and RZ. But in 1973 and 1974, even had the RAF planned to cooperate with the Palestinian organizations, it was prevented from doing so by the arrest of its remaining leaders, which brought the organization to a complete standstill. In late 1974 M2J burst on to the scene, but its flamboyant operations targeted mainly justice officials involved in the trials of members of the RAF and M2J. RAF did not fare much better in the years 1976 and 1977. In June 1976, one of its historical leaders, Ulrike Meinhof committed suicide in prison. In November 1977 four other leaders put an end to their lives in prison. The above notwithstanding, the years 1975-1977 were the most fertile as far as cooperation between German and Palestinian organizations (in particular the PFLP) was concerned. There was greater readiness on the part of the Palestinian organizations to enlist members of the RAF, M2J and the RZ in their training camps in Lebanon, and particularly South Yemen. There was greater participation by German terrorists in major PFLP operations or operations masterminded by the now famous Carlos (Ilich Ramirez Sanchez) on behalf of the PFLP. These operations included the seizure of OPEC headquarters in Vienna in 1975, the attempted bombing of an El-Al plane in Paris and the attempted hijacking of an El Al plane in Nairobi in January1975, as well as the hijacking of an Air France plane to Entebbe, Uganda, in June1976. It was the failure of the attempted hijacking by PFLP militants of a Lufthansa plane to Mogadishu in October 1977 that effectively put paid to operational cooperation between the two. Palestinian assistance to the German terrorists usually took the form of providing safe havens and training. Evidently the training had a dual function: to prepare the German terrorists to strike out on their own (some of those involved in the 1975 attack on the German embassy in Stockholm had trained in South Yemen), and also to train them for operational work within the PFLP itself. On the face of it, there was no operational cooperation between M2J and the Palestinian terrorist organizations. In the few cases where isolated members of the organization did cooperate with the Palestinian organizations, it is hard to ascertain whether they did so as individuals or as representatives of their organization. The Palestinian organizations allowed German terrorists from all the organizations to train in their camps in Jordan (at least up till 1970, when the crisis with the Jordanian authorities erupted), Lebanon, and particularly South Yemen, where the PFLP operated freely. The Palestinian organizations felt a deep commitment toward their German comrades; so much so that they perpetrated kidnappings and hijackings in an attempt to pressure the West German authorities to release jailed terrorists. A relatively large number of German terrorists had no compunctions about working for Palestinian terrorist organizations, in particular the PFLP, and even participating in dangerous and large-scale operations, which caused (or could have caused) many innocent casualties, in violation of the principles they themselves defended when operating on German soil. Many of these terrorists came from the RZ, and only a minority from the RAF. However it is hard to ascertain whether they worked as a distinct organizational unit, or as individuals who were recruited by the Palestinian organizations for personal, ideological, or mercenary reasons. The German terrorist organizations, at least initially, needed guidance and training prior to striking out on their own. According to Baumann, Tupamaros West-Berlin (the precursor of M2J) was set up by a group of left-wing anarchists who, after training in “Palestine” in the course of 1969, returned to Germany eager to launch an armed struggle. RAF—which at the beginning of its career was known as the “Baader-Meinhof Gang”—underwent a similar process. The Fatah camps provided a convenient solution for members of the Gang who wished to escape prison and flee Germany. The Baader-Meinhof Gang also thought it natural to learn from the Third World national freedom movements, above all from the Palestinian terrorist organizations, which already enjoyed freedom of action in a number of Arab states. It was no doubt their experience in the Palestinian training camp that launched the organization on its terrorist career. It gave the young German terrorists, on their return to Germany in the autumn of 1970, the impetus to go underground, to organize and perpetrate a series of bank raids in order to finance their logistic infrastructure, and to launch their first terrorist offensive in May 1972. Black September’s success in taking the Israeli athletes hostage on German territory during the 1972 Olymic Games rekindled the imagination of the RAF leaders, and again reinforced the doctrine whereby the Third World nations were successfully spearheading the struggle against imperialism. It boosted the morale of the beleaguered RAF, most of whose leaders were in jail from June 1972, following crackdowns by the security forces after the attacks of May 1972. Their morale was further boosted when the RAF members discovered that the Black September commando was demanding their release. Another demand for their release was indeed stipulated by a Black September commando that occupied the home of the Saudi ambassador in Khartoum in March 1973. There is no data indicating logistic or operational cooperation between RAF/RZ and Palestinian organizations during the period 1981-1984. There are references, however, to German terrorists fleeing to Lebanon and joining PFLP camps. Most of these terrorists, however, were female, and it is unclear whether they were acting as representatives of their organizations, or out of personal reasons. The German organizations did not publish many ideological documents. The leaflets that were published in the wake of attacks were short, and gave no explanation of the ideological or strategic background to their operations. In May 1982, after a long silence the RAF published its first strategic document, “Guerrilla, Resistance and Anti-Imperialist Front.” In it, the RAF leaders specify their main goal as the development of a new stage of revolutionary strategy, in which the struggle of the revolutionary front in the metropolis would complement the struggle of the freedom fighters in Asia, Africa and Latin America. The struggle should be waged on a common front, though in different contexts. In practice, developments in Western Europe were to play a major role in the confrontation with imperialism. In this major document, the Middle East is referred to as a region of vital strategic/military and economic importance (as a supplier of oil) for the forces of imperialism. Nevertheless, the document never refers to the struggle of the Palestinian organizations or to the importance of this struggle in the context of the international struggle against imperialism. The same omission is found in a number of subsequent documents. Two leaflets that were circulated after attacks against German and American targets and a series of letters written by jailed RAF leader Christian Klar praise the struggle of the Lebanese people and the Arab masses against imperialism, but make no mention at all of the Palestinian people or the struggle of the Palestinian organizations. As far as the RZ was concerned, after its mouthpiece Revolutionarer Zorn (Revolutionary Anger) ceased publication in January 1981, it published only four ideological texts. None refer to the Palestinian problem or to the struggle of the Palestinian organizations. This is the period of Euro-terrorism and the decline of the German terrorist organizations. From December 1984 to the end of 1986, the RAF focused on an Euro-terrorist strategy, trying to set up “The West-European Guerrilla Front,” mainly with the French Direct Action (Action Directe) and the Italian Red Brigades (Brigate Rosse). During 1987 the organization lay low. It was only in September 1988, after 23 months of hibernation, that the RAF struck again—this time with the attempted assassination of the German deputy Finance Minister. This effectively marked the end of the Euro-terrorism. Until December 1990 the organization carried out only two major terrorist attacks. Throughout the period, logistic or operational cooperation between the German and Palestinian terrorist organizations was non-existent. the RAF’s ideological priority was solidarity with European terrorist organizations, while the RZ focused on domestic problems, and occasionally on symbolic targets connected with NATO or South Africa. The RAF did, however, express ideological support for and solidarity with Palestinian organizations. For example, the German groups which claimed responsibility for five attacks carried out in 1986, 1988 and 1989, were named for fallen Palestinian terrorists who had fought against Israel. 1980 marked a turning point in the RAF’s strategy: emphasis was placed on the American threat and the major role played by NATO and West Germany in spreading international tension. Throughout this period of Euro-terrorism, issues such as the struggle of the Third World national freedom movements, including the Palestinian movement, were pushed to the side. In 1980-1981, the international terrorist activities of the main Palestinian organizations (Fatah and the PFLP) declined in earnest. Terrorist attacks abroad were perpetrated mainly by small splinter groups, such as Fatah-Revolutionary Command led by Sabri El-Bana (Abu Nidal) and the small offshoots of the Wadi’ Haddad faction, which itself had split off from the PFLP. At the end of the 1970s the military strength of the PLO, under Fatah’s leadership, grew in South Lebanon. It used guerrilla warfare and even conventional artillery against the Israeli army. In June 1982, however, IDF forces entered Lebanon to destroy the Palestinians’ military hold there. They managed to get as far as Beirut, surround the Palestinian forces in the Lebanese capital and expel them. After the Palestinian forces withdrew from Lebanon and dispersed throughout the Arab world in 1983-1984, the operational capabilities of the major Palestinian organizations declined even further, and a moratorium was declared on international terror operations. Meanwhile, the Shiite terrorist organizations in Lebanon soon erupted on to the international terror scene, filling the vacuum left by the Palestinian organizations. RAF showed an interest in these new developments, even claiming that the offensive it launched in 1984-1985 was designed, inter alia, “to show the pigs [the imperialists] what would happen if they stepped up [military action] in Beirut and El Salvador.” On the other hand, after Hizballah’s hijacking of the TWA plane (14 June 1985), the RAF admitted that it knew little about the Shiite movements other than the fact that their anti-imperialist struggles were foiling imperialism’s plans to rule the world, by creating divisions within its ranks, and proving that American imperialism was merely a strategic “paper tiger.” Although the RAF felt that the objectives of the fundamentalist Islamic movements had little in common with its own objectives, it was up to the Arab revolutionary movement to draw its own conclusions. The jailed RAF leaders’ interest in the Palestinian problem resurfaced in 1988, after the outbreak of the intifadah in December 1987 in the Israeli occupied territories. They saw the Palestinian insurrection as a landmark in the struggle of the national freedom movements. According to the RAF leaders, this was an integral part of the struggle of the radical movements in the metropolis too. However, the RAF felt it was not in a position to continue the armed struggle. Indeed, apart from isolated incidents in 1988 and 1989, the RAF effectively abandoned the armed struggle. During the years 1988-1990, the PLO tried to achieve a political breakthrough that would put it on a par with Arab countries in negotiations with Israel. Such a breakthrough was achieved at the Madrid Conference in October 1991. Thus, by the end of the decade, both the main Palestinian organization and the top German terrorist organization, the RAF, had abandoned the path of international terror as a means of achieving their political goals. In the RAF’s major document, “The Concept of the Urban Guerrilla,”(1971) the European guerrilla movements are portrayed as weak and ineffective in the face of the imperialist threat. The USA is portrayed as the leader of the imperialist camp, conducting a policy of aggression toward the Third World which it was trying to control. West Germany is portrayed as an American ally, pursuing the same aggressive policy as America toward the Third World. This imperialist aggression would naturally lead to a savage war and global exploitation, unless the process was halted by a resurgence of the revolution in the West. Apart from general references to proletarian internationalism, the need to combine national and international struggles and to build a common strategy for the international Communist movement through the deployment of the urban guerrilla, the document nowhere mentions the need for a coalition with other organizations. The document entitled “The Black September Operation in Munich, the Strategy of the Anti-Imperialist Struggle” (Autumn 1972) goes into greater detail on the subject of imperialist aggression toward Third World nations, with specific reference to the traumatic experience of the Vietnam War. The document states that imperialism had not only managed to resolve its internal contradictions, but also those that existed between it and the developing nations. M2J did not accept the RAF’s position on the centrality of the Third World freedom movements. It considered this an artificial, anti-imperialist concept that bore no relationship to the German social reality. M2J saw itself as participating in a global revolutionary offensive conducted by guerrilla organizations in the metropolis. However, as we have seen, the movement disbanded, and some of its members joined the RAF in June 1980. The same document that announced the merger with the RAF, argued that the imperialist camp was anxious to reach a military solution after the setbacks of the post-Vietnam period, and that there was a concrete danger of a nuclear war in Europe launched by the imperialist powers. In the new reality of the emasculated national freedom movements, it was up to the revolutionary movements in Western Europe to take up the fight against imperialism. In the early 1980s, having sustained a number of failures, the RAF once again emphasized the aggressive nature of imperialism in the document entitled “Guerrilla, Resistance and Imperialist Front.” Imperialism, it stated, worked through a concentration of its power, through the instruments of state, the combined instruments of U.S. satellite states, and renewed military might. Throughout the world, these imperialist tools were ready to gain control by force. Imperialism would not balk at using any military or economic tool at its disposal, including nuclear weapons. Although differences existed within the imperialist camp, the militant war machine was united. To combat the united imperialist front, there was a need to create a united anti-imperialist front, although it was clear, ever since the initiation of an internal dialogue within the revolutionary movement in 1979, that the same constraints still existed within and between the various anti-imperialist groups. Only coordinated action through parallel struggles in different regions could achieve this objective. In conclusion, the RAF, more than any other German terrorist organization, felt threatened by American imperialism, the West German regime—which it frequently described as fascist—and supranational bodies such as NATO and the European Union. In view of its feeling of vulnerability, it felt the need to join forces with external allies of the revolutionary camp. In the worldview of the RAF, the two poles that made up the bipolar international system were imperialism on the one hand and the Third World and Third World freedom movements on the other. The relationship between these two blocs was governed by imperialism’s sustained aggression against the Third World and Third World freedom movements. It was therefore imperative for the revolutionary forces to unite. As part of this united struggle, the revolutionary forces in the metropolis must provide help “behind the enemy lines” against the common enemy—world imperialism. Within this bipolar scenario, the Soviet Union and the Communist bloc hardly existed. None of the RAF’s ideological/strategic documents during the first 10-12 years of its active existence contained any relevant reference to them. In “The Concept of the Urban Guerrilla” there is a passing reference to the precarious alliance between imperialism and the Soviet Union, but only in the context of the USA’s need for a free hand in its anti-Third World campaign. In the late 1970s and early 1980s, as a result of the sharp drop in the activity of the Third World national freedom movements, Third World lost most of its importance in the eyes of the RAF. In the document “Guerrilla, Resistance and Imperialist Front,” however, a new undercurrent can be detected in the attitude toward the Soviet Union. In it, the Soviet Union is portrayed as a superpower on a par with the United States. This was one reason for the tension between East and West, and North and South, a tension that threatened world stability. Imperialism, aware that any slight shift in the delicate balance of power could trigger its final crisis, was planning to attack on all fronts, including on the East-West front. The re-structuring of the imperialist system as a result of international developments and pressures led to the emergence of a new imperialist focus—West Europe and NATO—a focus in which West Germany played a major role. West Germany had been thrust to the forefront of the international fray, and had now become the launching pad for a new imperialist offensive. It was essential to counteract this imperialist aggression through the establishment of a united revolutionary counter-force within the imperialist center itself. As the RAF became increasingly convinced of their view of things, they moved in the direction of Euro-terrorism, through the establishment of “The West-European Anti-Imperialist Guerrilla Front,” mainly with the French Direct Action. Within this strategic framework, the organization’s attitude toward the Soviet Union also changed. In the late 1980s, further changes in the international system necessitated a reassessment. According to the organization’s leaders, or more specifically, the remnants of its jailed leadership, imperialism lacked an overall plan. It therefore had to find new ways of reasserting its control at all levels—the economic level, the military level, in the relationship between center and periphery, through the establishment of the European Union and within each country—in order to stamp out internal conflicts and revolutionary struggles alike. It followed therefore, that every battle fought by revolutionaries throughout the world was a battle against the entire imperialist system. Similarly, in order to achieve victory and consolidate the material basis achieved by the newly liberated countries, the entire imperialist system must be undermined. International instability was making the imperialists even more careful not to relinquish an inch of their territorial or political control. The only way of bringing the imperialist machinery to a halt was through strategic unity in the global struggle of the exploited nations. In the RAF’s assessment, the revolutionaries in the metropolis already had as much to gain as those in the developing nations of the South. The Soviet Union and the Soviet bloc were portrayed by the RAF as victims of imperialist aggression, particularly during the period of Euro-terrorism. The split between the Soviet Union and the Peoples’ Republic of China in the 1960s, and the latter’s dramatic entry on the international scene, no doubt contributed to the RAF’s view of the Third World as the main stage of the struggle against global imperialism. As such, it was important to give all possible help to the peoples and movements of the Third World in their war against the common enemy. Mao Tse Tung’s theory of imperialism as a “paper tiger” encouraged the organization to continue its struggle, despite weakness and failure. Mao Tse Tung’s influence on the organization can be seen in the RAF’s liberal quotations of Mao’s sayings. M2J and the RZ on the other hand, did not see the Third World as a major actor in the anti-imperialist struggle, although the texts of M2J also testify to Maoist influences. From an international perspective, West Germany, as the epitome of local capitalism and the lackey of world imperialism, was considered throughout the period the main enemy. In the early 1970s, West Germany was portrayed as a vital U.S. ally in its war against Vietnam (by providing a take-off and maintenance base for American bombers) and against the peoples of the Third World. By the late 1970s, it had become NATO’s main component by allowing nuclear missiles to be stationed within its territory and was considered instrumental in building up Western Europe as a major imperialist force. The Middle East was not considered of major importance in the RAF’s strategic perspective. Rather, it was seen as yet another area in which the struggle between the forces of imperialism and the national freedom movements was being enacted. The RAF never identified with the Palestinian freedom movements in the same way as it identified with the Vietcong or the struggle of the Vietnamese people. For Hans Joachim Klein, the Vietnamese problem had ceased to be merely an international problem. It had turned into an internal German problem. The German nation with its Nazi past had a moral obligation to prevent the genocide of the Vietnamese people. It not only had failed to do so, but had even allowed American military bases to operate freely in its territory. Naturally, once the Vietnamese struggle was dropped from the international agenda, the Palestinian struggle took its place in the RAF sympathies, but never to the same extent. The only time the Middle East is discussed in any depth in the RAF documents is in connection with the Black September’s attack at the Munich Olympics. However, as soon as more urgent issues began to surface, the Middle East was once again relegated to the sidelines. No doubt, one of the reasons for the RAF’s relative lack of interest in the Middle East was the low profile the West German government itself maintained toward the Middle East. Both traditionally, and out of sensitivity toward Israel, Germany never played an active part in Middle East politics, or mediated in the Israeli-Arab conflict, as had Britain and France. Therefore, the German organizations were all the more indignant by what they considered West Germany’s intervention in the region, particularly by providing the American forces freedom of action and logistic assistance en route for the Middle East. Similarly, after the outbreak of the Gulf War in the winter of 1991 when, for the first time since World War II, a united Germany sent an air contingent to Turkey as a symbol of its participation in the US-led coalition against Iraq, the vestigial RAF interpreted this as a sign that Germany was turning into a world power (“Greater Germany”) that was helping Israel and Turkey in their oppression of the Palestinian and Kurdish peoples. the RAF bitterly attacked the government in a leaflet in which it claimed responsibility for the only attack it carried out in this period. Regional wars and tensions, therefore, had a bearing on expressions and acts of solidarity. Of course the event that had the greatest impact on all three German terrorist organizations was the Vietnam War. Their response was to attack American institutions in Germany or German institutions which, according to them, were collaborating with the American war effort. Events in the Middle East—the struggle of the Palestinians after the Jordanian crackdown in September 1970, the civil war in Lebanon, and Israel’s war against the Palestinian organizations in Lebanon in 1982-1984—also left their mark. Ironically, however, apart from the initial stages of the civil war in Lebanon (1975-1976), the German terrorist organizations, particularly the RAF, were at crisis point just when the Palestinians most needed them. Finally, international tension in Western Europe following the stationing of American nuclear missiles there, led to a radical turnabout in the RAF strategy and influenced its decision to enter into an alliance with other revolutionary forces in Western Europe that were contending with the same enemy and the same challenges. Throughout the 1970s, only one document explicitly cited close cooperation in the field of counter-insurgency in the imperialist camp as a major factor in cementing solidarity in the revolutionary camp. Most other texts allude to this cooperation as part of the imperialist camp’s efforts (via its military/security/police apparatus) to control the peoples of the Third World and the revolutionary organizations in the metropolis. This was to become a dominant theme during and even after the period of Euro-terrorism. In conclusion, we can say that all the independent variables at the international level affected the RAF, and to a far lesser extent, M2J and the RZ. The RAF felt threatened to a greater or lesser degree throughout the period in question by the superior forces of Western imperialism. At times, it believed a world war was about to erupt between the two camps. Tension within the bipolar system was the major cause of this feeling of vulnerability. However, it should be borne in mind that bipolarity in 1970-1978 was different from bipolarity in 1979-1988. From the RAF’s point of view, the main actors in the bipolar system during the first period were the Western imperialist camp and the Third World and Western revolutionary camp. The Soviet Union was hardly mentioned. During the second period, the main actors were perceived along more traditional lines as the Western imperialist camp and the Communist revolutionary camp (with an unwritten pact between the revolutionary movement in the West and the Soviet-led Communist bloc). At the end of the 1980s, with the inauguration of the New World Order in which the USA remained the sole superpower, the situation was reassessed, in view of the growing isolation and decline of the revolutionary forces throughout the world. The RAF reached the only logical conclusion—abandonment of the armed struggle. Unlike the RAF, M2J and RZ focused their anti-imperialist struggle on the domestic front, and did not believe in the existence of a significant Third World revolutionary camp. Any solidarity they felt toward this camp was inspired by the enormous psychological impact of the Vietnam War, as we saw above. Members of M2J, whose strategic perspective changed toward the end of the 1970s, did not attempt to change their organization’s strategy. They simply joined the ranks of the RAF. The RZ continued to focus its strategy on domestic issues until the late 1980s. Its reservations regarding the peace movement’s struggle (1980-1986) against NATO’s growing strength and the stationing of nuclear warheads in West Europe, effectively destroyed any residual influence it had among German radical left-wing circles, until it gradually ceased to exist as a terrorist organization of any significance. Similarly, the RAF’s support of the Palestinian struggle and the Black September operation at the Munich Olympics was based on its perception of this struggle as part of the global war against imperialism, colonialism and fascism, in which it too was a participant. The ideological and strategic change of emphasis in the late 1970s and early 1980s from the Third World struggle to the revolutionary struggle in the metropolitan centers, turned unity and solidarity among West-European organizations into a top priority issue. The Third World struggle had lost much of its momentum. Although it had not altogether disappeared, it had been pushed to the side. Indeed, it only began to resurface as an important issue after the RAF’s lifetime, as a result of certain regional developments (the intifadah in the Israeli-occupied territories, the struggles in Kurdistan and Central America). Certainly, as far as the RAF was concerned, its sense of solidarity with its revolutionary counterparts was based on a shared ideological platform. M2J and the RZ, on the other hand, did not share this same wholehearted support for the Third World movements. They chose to wage their anti-imperialist struggle at home, or to support social and popular causes (working class women and youngsters, the immigrant problem, the housing problem, etc.). The above notwithstanding, the members of M2J, and particularly of the RZ, actively participated in the Palestinian—especially the PFLP—struggle. The explanation for this can possibly be found in the anarchic character of these two organizations, as reflected in the lack of a defined or solid ideology, their fluid organizational structure, the lack of a strong central leadership, and the high degree of mobility from one organization to the other without the need for accountability. All this made it easy for foreign groups to recruit members of these organizations into their ranks, despite the fact that they espoused different goals and methods. Thus, for example, while the RZ apologized for the assassination of a German minister, under the pretext that it had simply intended to injure, not kill him, senior RZ members, such as Wilfred Böse, participated in operations (such as the attacks on the El Al planes in Paris and Entebbe) that could easily have led to the deaths of hundreds of innocent people. Another explanation for this collaboration can be found in the infiltration of anti-Zionist motives into the ideology of the German revolutionary organizations, particularly the RAF. This anti-Zionism in many cases was merely a front for deep-rooted anti-Semitism—the leaders of the organizations themselves found it hard to draw the line between anti-Semitic ideology and anti-Semitic sentiment. Although the RAF leaders did not deny the existence of the Holocaust, they accused Israel and Zionism of borrowing Nazism’s worst features, in an attempt to portray them not only as the lackeys of imperialism, but also as one of the most despicable elements in the fight against the Third World peoples, particularly the Palestinians. The clearest expression of this ideological distortion and twisted thinking can be found in documents relating to the Black September operation at the Munich Olympics. In them, Horst Mahler argues that while the [German] proletariat had failed to destroy fascism and prevent the murder of six million Jews, it was this same fascist policy that had inspired reactionary Zionist ideology. “Macabre as it may seem, Zionism has become the heir of German fascism, by cruelly ousting the Palestinian people from its land, where it has been living for thousands of years.” Therefore, the German proletariat had to recognize its responsibility for the fate of the Palestinian people and any guilt feelings it may harbor toward the Jews should not blind it to the evils of Zionist fascist aggression. The document “The Black September Operation in Munich, the Strategy of the Anti-Imperialist Struggle” describes Israel’s policy as a Nazi fascist policy... aiming for the annihilation of the Palestinian people. The action Moshe Dayan, then Israeli minister of defense, took in response to the hijacking of the Sabena plane to Tel Aviv (8 May 1972) is described as “treacherous and criminal” toward the hijackers (!). Although the document admits that anti-Semitism [and the war] discredited German fascism and the German ruling classes, it goes on to say, in its twisted logic, that the Black September terrorist operation at Munich was an anti-fascist act because “it was meant to wipe out the memory ... of the 1936 [Berlin] Olympics, Auschwitz, and Kristallnacht.” Similarly, Israel was to blame for the death of the athletes, just as the Nazis were to blame for the death of the Jews (!). A similar atmosphere prevailed in M2J. This movement evolved out of a smaller, anarchist movement, the “Tupamaros-West Berlin” (TW). In November 1969, there was a failed attempt by TW to blow up the main synagogue in West Berlin. This attack, the first attack carried out by German terrorists as a token of their solidarity with the Palestinians, took place, symbolically, on the anniversary of Kristallnacht. The TW proudly claimed responsibility for the attack in a leaflet entitled “Peace and Napalm” emphasizing that the act was not carried out by the radical right, but rather by the radical left as “a demonstration of international solidarity.” The members of TW justified their timing of the attack by claiming that the original Kristallnacht of 1938 was being re-enacted daily by the Zionists, in the occupied territories, in the refugee camps, and in Israeli jails. In conclusion, as far as ideological cooperation is concerned, the three German organizations shared a common ideological base with the Palestinian organizations. This ideological identification was strongest on the part of the RAF, which saw the Third World and the Palestinian people as the spearheads of the global anti-imperialist struggle. Two ideological characteristics were particularly influential in the decision of the German terrorists to cooperate with or even join Palestinian terrorist organizations: their anarchist—or in the case of the RAF—anarcho-communist features, and the infiltration of anti-Semitic ideology into the organization’s doctrine. The coalition between the Palestinian and German organizations was a coalition between a strong and weak partner. Throughout most of its existence, the RAF admired the Palestinian revolutionary organizations and their dominant role in the anti-imperialistic struggle. This admiration found clearest expression in the document it published in the wake of the Black September operation at the Munich Olympics. The Palestinian organizations, in particular the PFLP, were the main sources of assistance for the German terrorist organizations. This assistance was expressed in two vital areas: the training of German terrorists in guerrilla tactics and warfare, and the provision of sanctuary in times of danger. The German terrorists tried to ‘reimburse’ them through actively participating in PFLP-sponsored international terror operations and by encouraging West German and West European radical left-wing circles to support the Palestinian cause. Did the participation of the German organizations in PFLP operations that contradicted their ideological, strategic, and operational principles indicate a total dependence on their Palestinian mentors and sponsors? According to Klein, the RZ’s “international division,” at least, was totally dependent financially on the PFLP. It is intriguing that few of the data refers to participation by German terrorist organizations in operations against Israeli targets within the German Federal Republic itself. The three German terrorist organizations, on the other hand, frequently attacked American targets, and the RAF and RZ attacked Turkish, Chilean and South African targets within the Federal Republic. Moreover, the fact that neither the RAF nor the RZ released communiqué s or leaflets trying to justify or explain PFLP international terror operations indicates that they did not help or participate in such operations. Therefore, on the basis of the available information, it is impossible to determine with any degree of certainty, the extent to which the German terrorist organizations were dependent on their Palestinian counterparts, particularly in the period in which the coalition between them was most active (1975-1977). It can be assumed that the recruitment of German terrorists in the PFLP ranks was made on an individual basis. In some cases, the recruits were more akin to mercenaries, albeit “ideological” ones. This recruitment was facilitated by the tradition of close ties between the German and Palestinian organizations and the German organizations’ sympathy for the Palestinian cause. Hans-Joachim Klein finally decided to abandon the RZ, when he realized that his comrades were behaving like the Nazis in Auschwitz when they separated the Jewish passengers from the non-Jewish ones after the hijacking of the Air France plane to Entebbe. Klein also condemned the RZ’s plot to assassinate the leader of the German Jewish community as a fascist act, and exposed the plot. Klein made it clear that in his opinion the two German terrorists who participated in the Entebbe operation were more anti-Semitic than Wadi’ Haddad, the leader of the PFLP’s operational division, for planning to assassinate the famous Nazi hunter, Simon Wiesenthal. Even the nefarious Carlos opposed this operation on the grounds that Wiesenthal was an anti-Nazi. Therefore, the anarchist character of the RZ, and the anarchist backgrounds and deeply entrenched anti-Semitic feelings of the members of all three German terrorist organizations, explain their readiness to join the Palestinian organizations, as volunteers or recruits. They justified this both to themselves and their comrades as a contribution to the war against imperialism, colonialism, and fascism, alongside a “Marxist-Leninist” organization such as the PFLP, which was spearheading the international struggle against these reactionary forces. The thesis that the anarchism of the radical left and the anarcho-communism strengthen the tendency to establish international coalitions of terrorist organizations has been confirmed by the behavior of the German RAF, M2J and RZ. Moreover, the German terrorist organizations of the 1970s and 1980s have been the most active in the formation of coalitions with other terrorist organizations on the international scene. This was proved by the only real coalition between terrorist organizations, although a short-lived one, between the RAF and the French Direct Action in 1985-86. But this is the subject for another article. See Robert Keohane and J. S. Nye (eds. ), Transnational Relations and World Politics (Cambridge, Massachusetts: Harvard University Press 1972), p. 380. M. Stephen Walt, The Origins of Alliances (Ithaca and London: Cornell University Press 1987). See Judy S. Bertelsen, ‘The Palestinian Arabs,’ in Judy S. Bertelsen (ed.) Nonstate Nations in International Politics. Comparative System Analysis (New York: Praeger Publishers 1977) p. 245. Anne Steiner & Loic Debray, La Fraction Armee Rouge: Guerrilla Urbaine en Europe Occidentale (Paris: Meridiens Klincksieck 1987), pp. 110-122. See Joanne Wright, Terrorist Propaganda. The Red Army Faction and the Provisional IRA, 1968-1986 (London: Macmillan 1991) p. 43. Xavier Raufer & Francois Haut ‘RAF, Une organisation zé ro traces’, Notes et Etudes 5 (1988), p. 7. Steiner & Debray (1987) p. 118. Raufer & Haut (1988) p. 21. See Jean Bougereau, ‘An Interview with Hans Joachim Klein,’ in Jean Bougereau, The German Guerrilla: Terror, Reaction and Resistance(Orkney: Cienfuegos Press, 1981), p. 16. See Ehud Ya ‘ari, Fatah (Tel Aviv: A. Levine-Epstein Ltd. 1970, in Hebrew), pp. 21, 47. See Baumann’s testimony in Michael Baumann, Terror or Love? “Bommi” Baumann’s Own Story of His Life as a West German Urban Guerrilla (New York: Grove Press 1979), pp. 86-87. For example, members of M2J who were released from jail in February 1975 after the kidnapping of the German politician Peter Lorenz, joined their RAF comrades in a PFLP camp in South Yemen. Was this the result of an independent agreement between the PFLP and M2J, or rather of an agreement between the PFLP and RAF, which wished to recruit M2J members to its ranks? One of the released M2J terrorists, Gabriele Krocher-Tidemann, participated in the January 1976 raid on the OPEC headquarters in Vienna, as a member of a PFLP cell led by the notorious terrorist Carlos. Was this M2J’s “contribution” to the operation, or was she acting on behalf of the RZ, which had a major role in the German side of the Vienna operation? Most of their attacks were directed at the government, in particular the judiciary, in retaliation for the trials of violent demonstrators or those accused of throwing incendiary and home-made bombs. See the communique of May 19, 1972 in Texte der RAF, 1977 (Collection of RAF communiques, documents and statements from 1970 to 1977). RAF leaders may well have believed that their Palestinian comrades would be successful in securing their release in a hijacking operation On 29 October 1972, a Lufthansa plane flying from Damascus to Munich was hijacked. The hijackers demanded and secured the release of three members of Black September who were still alive after the Munich massacre. Thus, for example, Suzanne Albrecht, who took part in several important attacks, escaped in 1980 to Lebanon. Frederika Krabbe escaped to Baghdad in 1980 where she lived with her boyfriend, a member of the “15 May” organization. See the French version, “Gué rilla, ré sistance et front anti-impé rialiste,” Notes et Etudes, No. 5 (May 1988) pp. 69-80. The concept of “metropolis” is a key concept in the terminology of European radical left-wing terrorist organizations. It is used by them to designate both the imperialist countries and the large urban centers of urban guerrilla warfare. On 30 November 1989, after a lull of 14 moths, Alfred Herrhausen, manager of the Deutsche Bank, was assassinated, and on 27 July 1990, an attempt was made on the life of Hans Neusel, the secretary of state responsible for internal security in the Ministry of the Interior. The “15 May” faction, under Muhammad Hussein Al-’Umri (Abu Ibrahim) and the ““PFLP”-Special Commando” faction, headed by Salim Abu Salem (Abu Muhammad). Quoted from Zusammen Kampfen, No. 5 (Jan. 1986) in Jillian Becker, Terrorism in West Germany. The Struggle for What? (London: Institute for the Study of Terrorism 1988), p. 68. Quoted from Zusammen Kampfen, No. 4 (Sept. 1985) in Becker (1988) pp. 63 and 66. According to RAF’s communiqué of 19 April 1992 announcing a moratorium on the armed struggle, the organization’s leadership had begun its situation evaluation already in 1989, when it realized that its position was untenable, and that a new policy was called for in view of new international circumstances and changes in the balance of power. See document in Yonah Alexander & A. Dennis Pluchinsky (eds. )Europe’s Red Terrorists: The Fighting Communist Organizations (London: Frank Cass 1992), pp. 147-152. See Texte der RAF, pp. 337-367. See the French translation, “Fraction Armee Rouge: guerilla, resistance et front anti-imperialiste,” Notes et Etudes, No. 5, Mai 1986, pp. 69-80. See Eva Hanle’s declaration at the Stammheim trial (Sept. 1987 - May 1988) as relayed in Il Bollettino, No. 36 (May 1989) pp. 21-25. See Wright (1991) pp. 39, 80-81. See Bougereau (1981) pp. 12-14. See the communiqué on the shooting at the U.S. embassy in Bonn on 13 February 1991 as quoted in Alexander & Pluchinsky (1992) pp. 75-78. See “The Other Process, Late April 1976” in Texte der RAF, pp. 27-34. Witness, for example, RAF’s attempted assassination of the German Secretary of State in the Ministry of the Interior, Hans Neusel, on 27 July 1990, as the leader of the war against the freedom movements, and as a senior member of the “Trevi group” – the West European anti-terror think-tank. Cited in Wright (1991) p. 104. Heinz-Herbert Karry, the Economics minister of the state of Hesse was killed on 11 May 1981. The RZ published a letter claiming that they only intended to cripple him. See Jillian Becker, Terrorism in West Germany. The Struggle for What? (London: Institute for the Study of Terrorism 1988). See quotation from his speech shortly before his trial, as brought down in CONTROinformazione, Nos. 1-2 (Feb-Mar. 1974) p. 26. See Texte der RAF, pp. 422, 455. See the leaflet in Jillian Becker, Hitler`s Children (London: Granada Publishing Ltd 1978). See Becker (1978) pp. 299-300. See Bougereau (1981) p. 31. Ibid, pp. 43, 47. Antisemitism among the German terrorists was so deeply entrenched that they could not bear to hear someone whistling the theme tune of the film “Exodus.” In contrast, the Palestinian were far more tolerant.